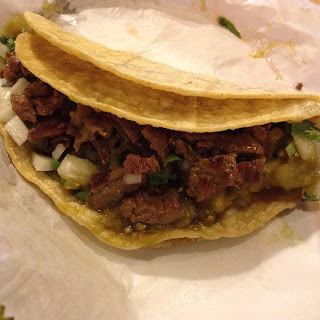 De Pasada is probably one of the better Mexican restaurants outside of Pilsen! Located in the middle of Taylor St. (Little Italy), it is definitely a place to try. You know its good when cops, students, and locals frequent it! 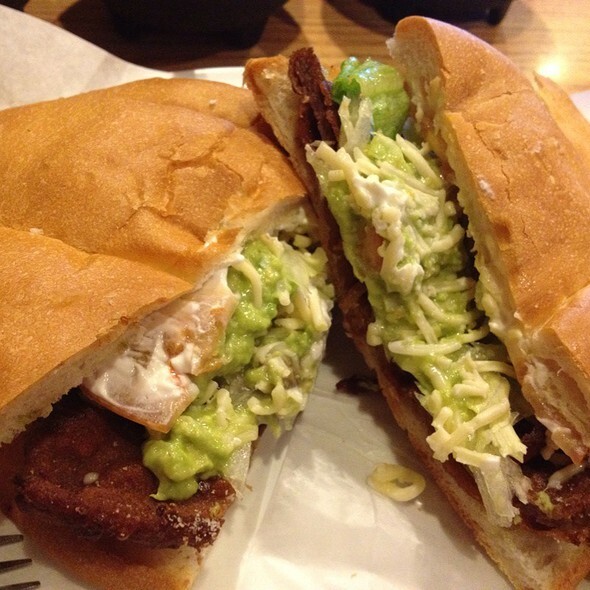 This torta takes a little longer to cook because they fry the Milanesa fresh! Its a super thin piece of beef that is pounded out, lightly breaded, and deep fried. They serve it on an amazing roll that is buttered and grilled for a little extra crisp to it. They add the staples... lettuce, tomato, shredded cheese, sour cream, and guacamole! 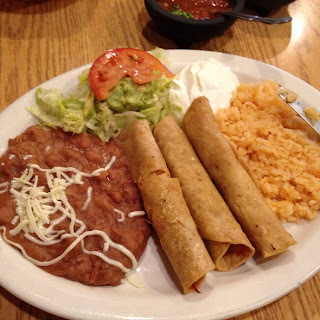 All you have to do is add some of their spicy salsas that they give to each table and its PERFECT! 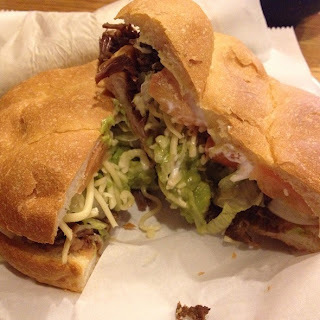 I suggest this torta! The barbacoa torta was similar to the milanesa in terms of ingredients... main difference was obviously the shredded beef. It was also very tasty, but that was mainly because of the other toppings in the sandwich, especially their salsa. The beef was tender, but didn't have too much flavor behind it. I suggest the pollo or the milanesa for sure. By far the best taco they serve at this restaurant. 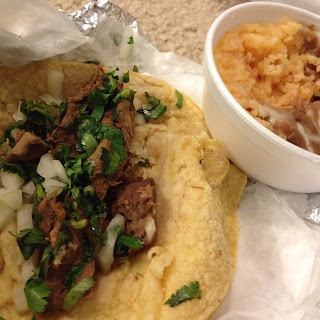 The lengua is super tender and has great mexican flavors. And it is kept extremely simple... chopped onions, a little cilantro, and hot sauce rolled up between two fresh corn tortillas! 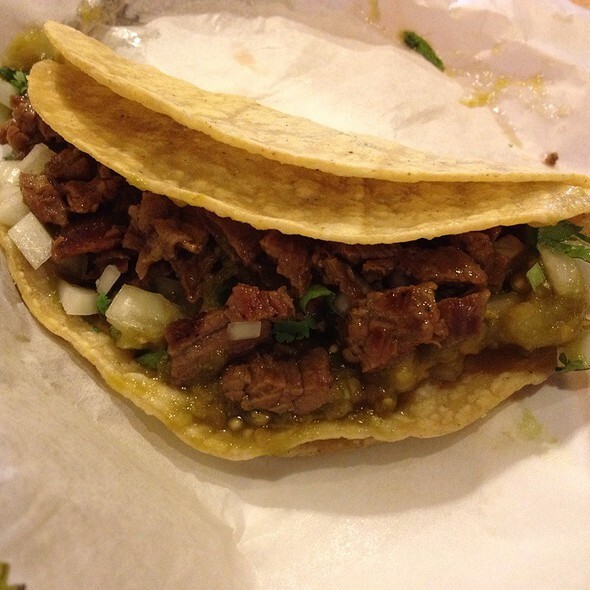 The carne asada is always a solid choice, even here at De Pasada. But with so many other choices, I wouldn't be sticking to this classic. But if so, the meat is well seasoned and once again a simple taco. They do offer super tacos with lettuce, tomato, guac, sour cream... but why mess with simplicity? A great option if you are hungry! It comes with 3 flautas stuffed with their shredded chicken. By itself I wasn't too impressed, but dipping them into their homemade salsas and guac and of course a little sour cream was tasty. The rice and beans are staples. I enjoy eating them together with chips... sort of like a dip! - Order a couple of things for sure. The tortas are good size, but I usually order 1 torta and 1 taco. With the chips and salsa it makes for a great meal! - Ask for limes and squeeze them on their chips and add a little salt! Great tip from one of my friends! - UIC STUDENTS GET A DISCOUNT! Be Proud... Show that I-Card! - Don't order things on the side because they charge extra for mini containers if it is a to-go order. Example is 25 cents for a little cup to put your sour cream or guac on the side. It confuses me!